Felicidades to a wonderful group of students who completed the Spring Citizenship Class! This term saw three classes of 12-16 students per group for a total of more than 40 students, all motivated to prepare for the next step in their journey towards citizenship. Graduation was a joyous event and was even attended by two former students who became citizens earlier this spring! We are grateful to our volunteers, many of whom were new this session! Our heartfelt appreciation for the great classrooms and hospitality provided by Chemeketa Community College Yamhill Valley Campus. The next session of citizenship classes will take place Tuesday and Thursday evenings from 6-8pm starting September 26th and ending November 14. 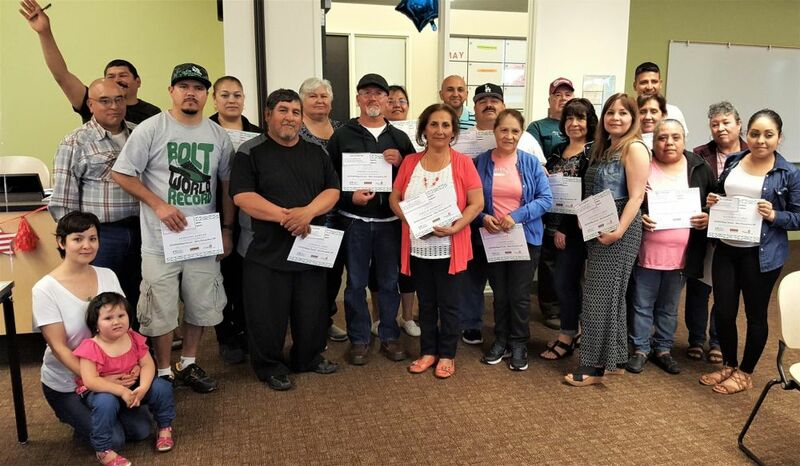 Check out our most recent Newsletter to learn more about how Measure 105 impacts Yamhill County and why Unidos and other community members are opposing Measure 105. Sabor Latino: Lively and Successful!